Home / Fantastic class !!! My husband and I attended the Bologna couples dinner last week. The class was so informative and fun. I grew up with an Italian mother right from Italy who loved to cook and was a great cook. I thought I knew just about everything, but Gio proved me wrong. 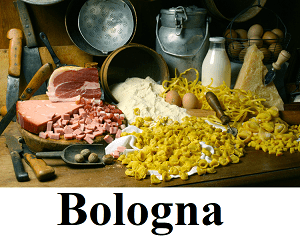 I loved listening to the why of everything and learning about the cusine of Bologna. Making the tortellini was awesome and discovered it wasn’t as hard as I thought. Can’t wait to try it at home. We will definately be back.